But her winter wonderland is ruined when she finds herself snowed in with her current boyfriend, her old flame and a hunky stranger. Well, three (wise) men is traditional at this time of year.. I received this as a Christmas present from my grandparents last year and as I was going through my final year of university, the only time I had to read it was during my half hour breaks from my part-time work – which was one day a week. It took me a while to get into the book, but when I did, I loved the storyline and the fact it revolved around Christmas, even though i was reading it in February. The book mainly centres on Lydia with different stories interlinking with hers. Lydia and her boyfriend Stephen are off to spend Xmas with her friends at Katy and Jim’s new house, which they have converted into a B&B and hoping that after Xmas, they will be ready to open the doors to the B&B. With all her friends under one roof, including her current boyfriend and her old flame, Jack (who never met her friends) who is now going out with her friend, but seems to still have feeling for Lydia. Caught in a dilemma, she’s even more stuck with the boiler blinks out after they are snowed in and the local handyman, Will, treks through the snow to try and fix it. She now has to figure out who and what she wants and quickly because Stephan is going to propose soon. I never liked Stephen and thought Lydia was actually too good for him. I loved her fling with Jack but when he left and she was left distraught, to not get in touch to tell her why he went – now that’s not on and to then want her after all those years. Tut tut. And then there is Will who I took an instant liking to. There are fights between lovers and friends, playtime in the snow with the kids, drunken times and friendships, all with Christmas as a background. 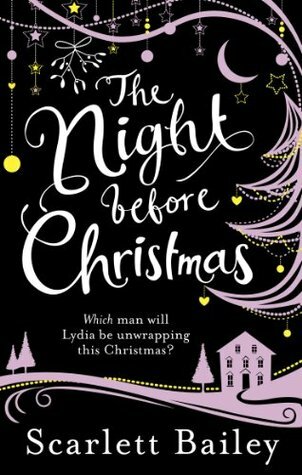 It was a great read and I loved who Lydia got together with, especially as the ending took place a year later and what happened was so romantic that it’s such a nice, fluffy, Christmas read. And since its coming up to Christmas – I know, two months away – it’s time to get your hands on this book and get into the Christmas spirit.